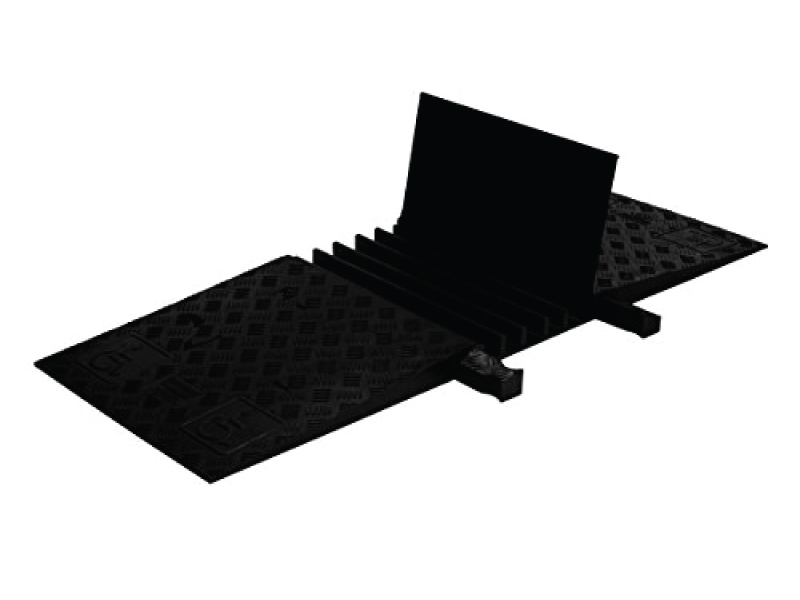 Compatible With Standard Yellow Jacket 5 Channel Protector. 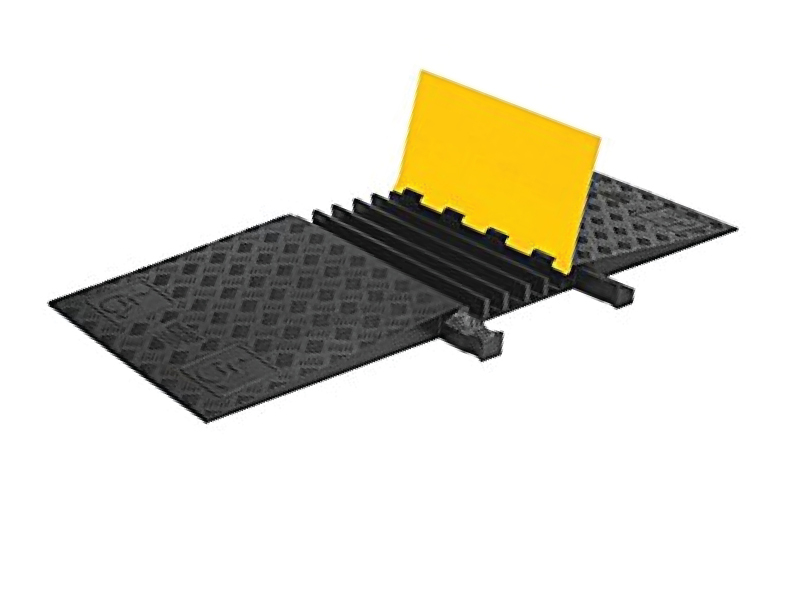 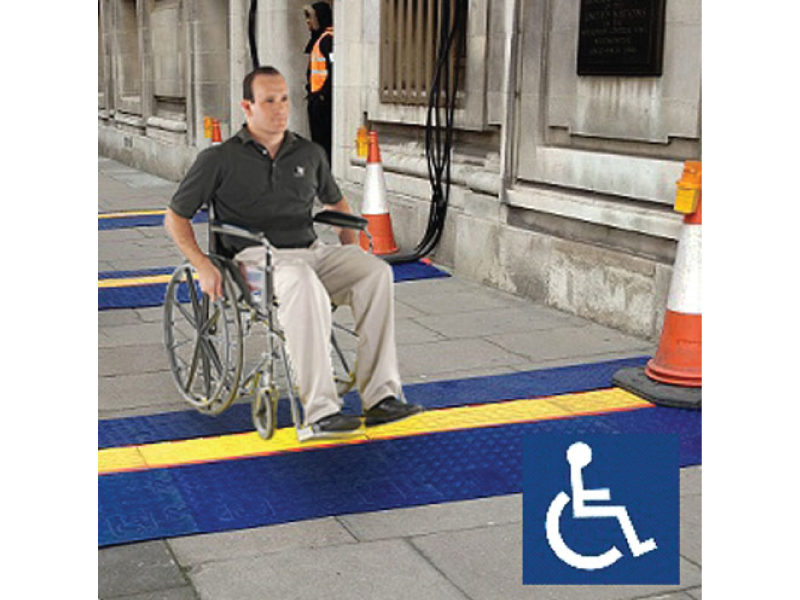 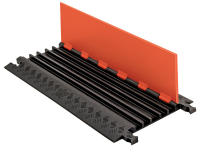 YELLOW JACKET® 5-CHANNEL ADA CABLE PROTECTOR has built-in ADA accessibility ramps to provide a safe crossing for vehicle and pedestrian traffic while protecting valuable electrical cables and hose lines. 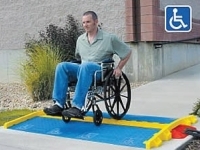 Because the ramps are built-in, there is no need for separate connectors. 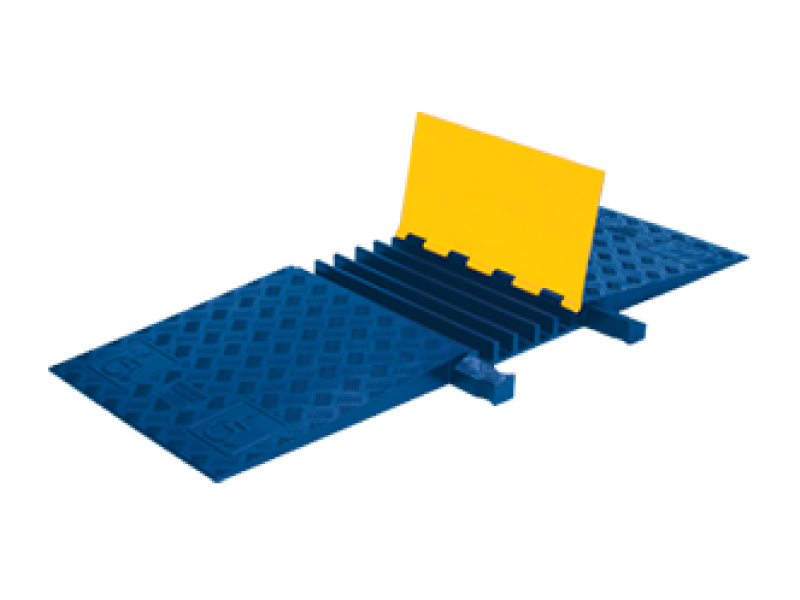 Another unique feature of this product is that it interconnects directly to a 5-channel standard ramp Yellow Jacket cable protector. 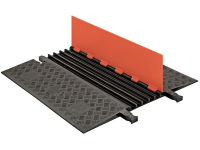 This modular interlocking design is available in lightweight 18″ sections and it includes a recessed carrying handle on the underside of the protector. 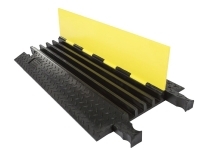 Ideal for use in amusement parks, entertainment venues, sporting events, and most public, commercial, industrial, construction, and utility applications.